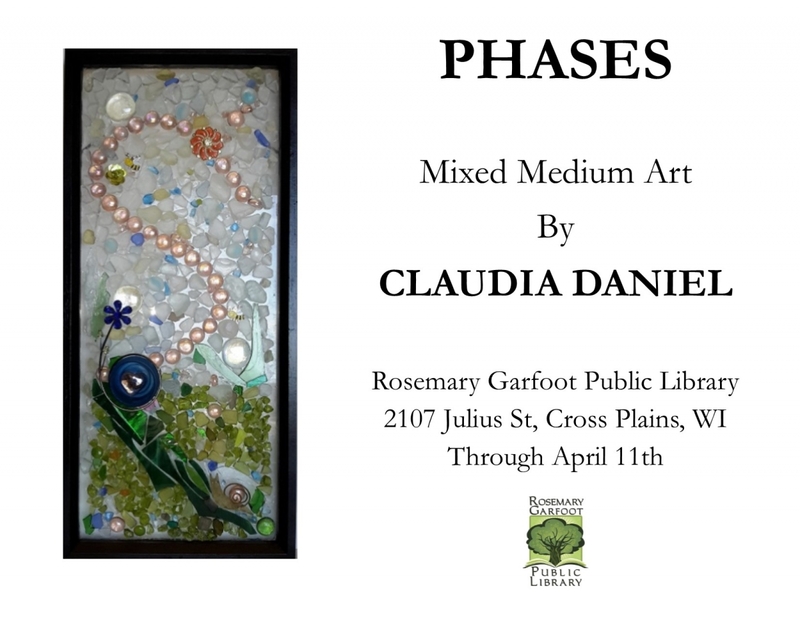 From mosaics to monoprints, Claudia's varied interests and skill are evident in her intriguing art pieces. You can enjoy her art at the library now through April 11th. Claudia will be back in the fall for a second installation, so stay tuned!